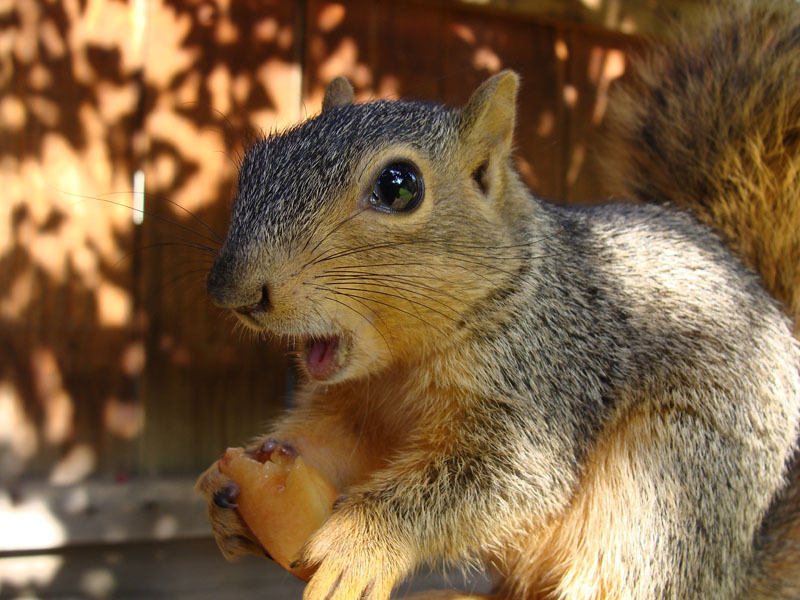 Most of a squirrel's whole life is spent looking for food. It's very important that we learn to climb and eat good things that will make us strong. Running and climbing are also important because there are things out there that want to eat us. Can you imagine?! Since I didn't do such a good job last time, my family made sure that they put my food in a tree in different spots so that I would practice climbing. They also did it to keep me off of the ground where kitty found me before. The only time that I really go down on the ground is when they come outside to see me, because that means that the kitty is safely under lockdown. As you can see, I'm a little jumpy. My mom says that that's OK because squirrels should always be on the lookout for danger!